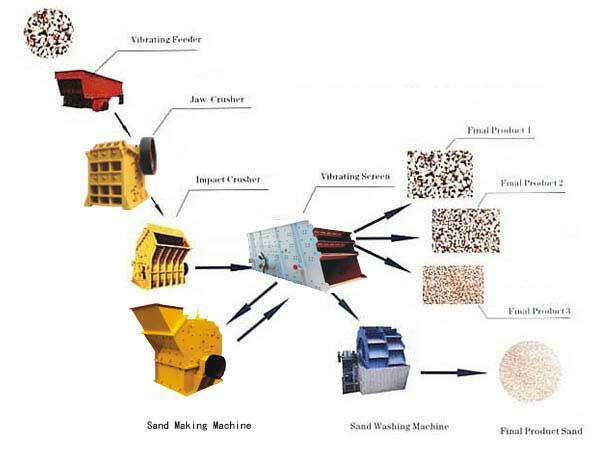 Sand production line is a system for processing stone into small size and grain shape that construction need, which include crushing machine, sand making machine, conveyor, sieving machine, sand washing machine. The most important equipment is crushing equipment, sand making equipment and sand washing equipment. In the wet sand production line, the main purpose of sand washing machine is to cleanof all kinds of sand to remove out the impurities, to assist the smooth development of sand making process. In addition, sand washing machines can be used not only after the sand making machine, but also widely used for cleaning the dirt, stones and other impurities contained in river sand, ground sand, weathered sand, etc. 3. In the design, the impeller drive bearing device of the sand washing machine is separated from the water and the water-receiving material, thereby greatly avoiding the phenomenon that the bearing is damaged by water immersion, sand and pollutants, so that the whole machine can have a long service life. When sand washing machine is working, the power unit drives the impeller to slowly rotate after being decelerated by the V-belt, the speed reducer and the gear. Sand enters the washing tank from the feeding trough to complete the cleaning. 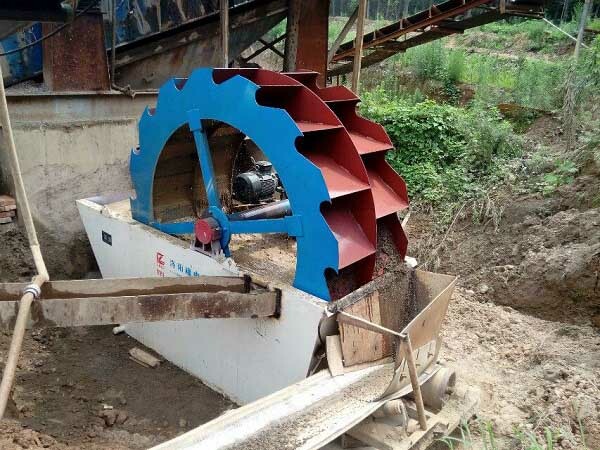 The clean sands is taken away by the blades, and finally the sandstone is poured from the rotating impeller into the discharge chute to complete the cleaning of the gravel.